Create a global language library for your gaming portal! Gaming portals should have a global language library (for each language) where all terms used are stored. Consistency is a big part of the player experience. 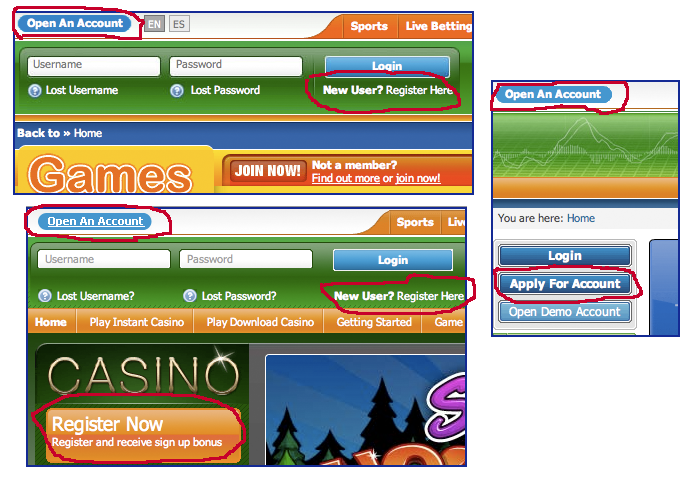 Things should behave similar and they should also use the same terminology, especially on the same gaming portal. In the image above you see an example where it isn’t very consistent. The example is taken from paddypower.com (there are many sites with the same problem) where different names are used for the same thing, even on the same page. Any of the terms above works but they shouldn’t be mixed in the same portal page.